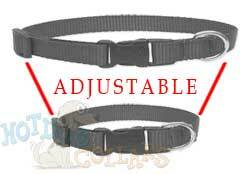 I chose to purchase a new collar for my dog from this company because of the design. I used to work in a holistic pet store that sold many different brands of great collars, harnesses, and leashes. I honestly was looking for an American made, independent company to support and buy from. That was a huge part of my decision. I have never seen this pattern and loved it. It suits my lab mix dog because he is a foodie! Ha! It is well made and the design is bright and bold. It looks like it can withstand years of wear. I do wish it was a little thicker, but just a personal preference. I do have a major grip though. It took over two weeks to get the collar. The shipping itself was fast. Once it was actually shipped , it took less than three days. Why the need to take a slow time to send it....I don’t know. I’ve been in retail for 20 years and if I took that long to send something out, I know I would not get repeat business from that customer. So....that being said, that should be an area of improvement to work on. And that is why only 3 stars. The length of time it took to send it, really angered me. I STARTED CALLING MY DOG BACON AND EGGS! When I get my dog's leash, I say come on let's go "Bacon and Eggs" it looks so cute on him! I like the colors, but they are brighter than the pictures online. That is why I am giving it 4 stars. It opens and closes with ease, that is one reason I purchased and the other is the thickness of the collar.